God knows I love research. After all, I spent two years as a research assistant while getting my masters at Tufts Medical. While there, I read study after study, analyzed data, and even published a couple papers with my mentor (humble brag because that was pretty freakin’ cool). All of that was a long way of saying, I love science and data. I really do. But I have a small beef with the way it’s often interpreted when it comes to food and healthy lifestyle. Here’s why: randomized control trials (the gold standard) and observational studies look to find variables that affect one’s health. And when they do this, they pull out things like meat or fat or phytic acid and work to draw correlation or causation between input and output. This is a problem because food isn’t a math problem. If it were, the calorie in, calorie out method would work swimmingly. But it’s doesn’t. And it doesn’t work that way because there are so many variables within the one variable (in this instance food) that affect outcome. Put another way: How your body reacts to food is dependent on multiple factors – like stress, weight, disease state, and your diet – and those aren’t always accurately captured in studies. Let’s look at a finding on conventional v. organic produce. Remember when an article concluded that there was no nutritional difference between conventional and organic fruits and vegetables and, therefore, conventional produce was just as healthy for you as organic? I do and, for a long time, I used to believe an apple was an apple was an apple. But that’s simply not true. Because nutrients aside, organic produce has less pesticides and chemicals on them and that affects your health. And while this study said it controlled for pesticides, those toxins – they won’t show up as an issue in a year or two (which is how long most studies in this particular article were analyzed). Just like how you gradually gain weight, these toxins gradually build in your system. So, when studies only follow subjects for a couple years, you don’t see the ramification of those variables. This makes it hard to conclude, in my eyes, that conventional and organic produce are equals and why articles like this and this get published to contradict this outcome. Let’s take a look at the findings on red meat too. 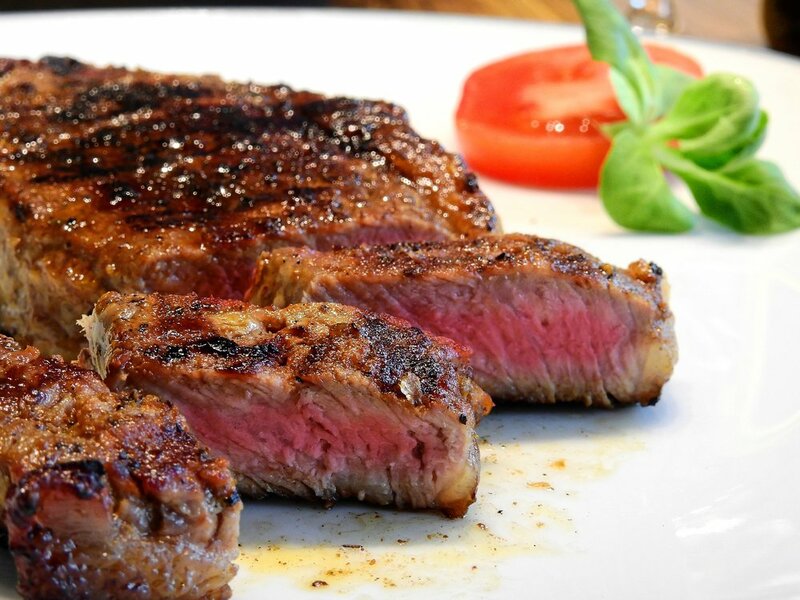 Red meat is often touted as a terrible, must avoid food because it causes cancer, heart disease, and metabolic syndrome. But I don’t know if that’s true. I used to believe it was but, when I started to dig into the research, I started to realize that people who ate less red meat tended to be healthier because they also tended to eat less processed foods while subsequently engaging in healthier activities (i.e. exercise, eating vegetables). This sounds like an argument for not eating red meat, but it’s not because these variables weren’t controlled well in many studies nor was the reporting of people’s eating habits all that accurate. Here’s the quick and dirty of why: many studies use self-reported surveys to support their research. These surveys are error prone because do you remember what you ate last Tuesday – let alone would you tell the truth if it was a Frosty and fries because you had a bad day? Exactly. And if you want to dig into the research, check out this article and this one to see why the variables I mention matter. To be clear, I’m not advocating for a lot of red meat in your diet or to only eat organic produce (although, if you can do the latter – it’s not a bad idea). Rather, I want you to see that research data isn’t law. Data are open to interpretation as most studies are flawed by design. And, look, I don’t think it’s the researchers fault per say, but I do think the human body is fickle – which makes looking at one variable as helpful or harmful. So, in conclusion (research joke – eh eh? ), your job is to take in the health studies but to only use them as guidelines. Because 1. They are flawed (see this entire article) and 2. You’re unique, which means what works for you is unique too. And, look, I know that this fact might make getting healthier more difficult, but I promise it’s not as hard as you think ...but we'll talk about that next week.